If you’re ever looking to pick something up pretty cheap, then there’s a good chance you’ll head to your nearest Goodwill store to see if they have what you’re looking for before you scour the internet. There is always something interesting hiding on the shelves at Goodwill, you just have to spend a little bit of time trying to find the hidden treasure. 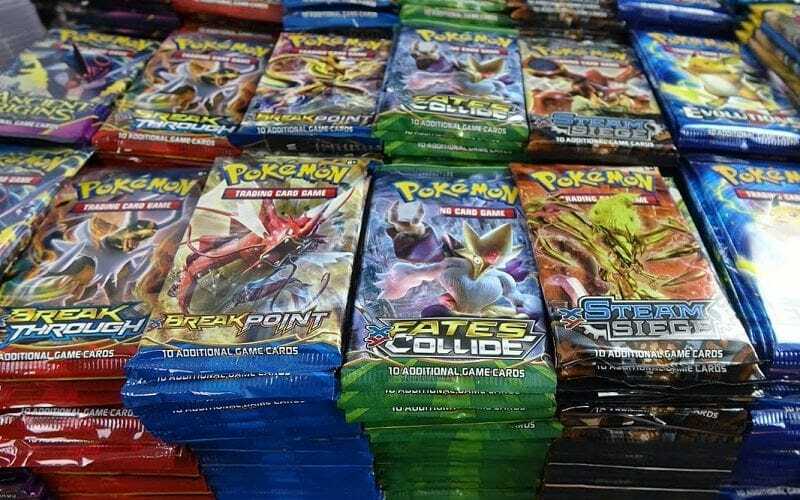 Luckily, you don’t often have to spend too long as all you really need to do is head to the toy section and you’ll most likely find a few forgotten favorites of yours from when you were growing up. 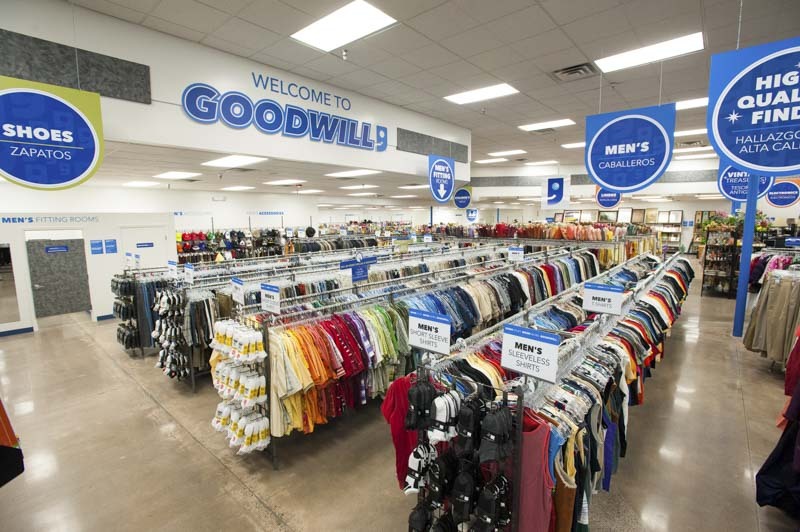 The Goodwill stores allow some of our most cherished toys, clothes, and household items a second chance at a new life when they find new owners and homes to go to after being given away by their previous ones. Occasionally you’ll find gold, and there will be something stored on the shelves at Goodwill that has never been opened making you be the first to do so. One shopper found an old toy at Goodwill, and after playing with it soon wished they’d left it well alone. Instead of just throwing it away in the bin, a Tumblr user decided they would document their experience with this forgotten toy they picked up at Goodwill. The toy was a favorite of theirs when they were growing up, so they jumped at the chance to have a little bit of a nostalgic reunion with it. They were not expecting to regret their purchase, but as time went on this Tumblr user quickly wished they’d never bought the toy in the first place. Kids are pretty much obsessed with toys. You know, you were once a kid. 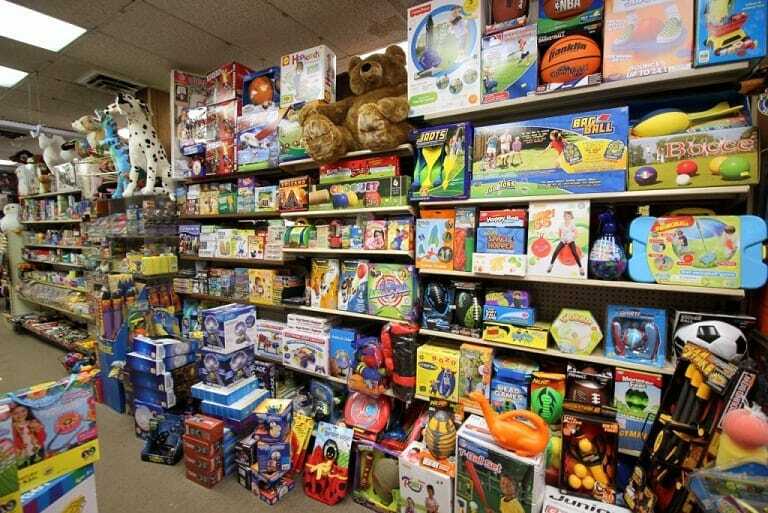 There is not a day goes by when a child doesn’t want to play with their favorite toy and if you take them into a store that has toys, you know you’re going to have a hard time leaving without having to buy something. As we grow older we still sometimes want to feel like a kid again and buy a toy or two to please the child inside us. Tumblr user iguanamouth went to their local Goodwill store and, feeling nostalgic, couldn’t resist a stroll down the toy aisle. Memories of their favorite toys came flooding back, and suddenly they were transported back to their childhood. They were getting their first Tamagotchi, or opening a fresh new pack of Pokémon cards. That was it, iguanamouth had to get something, and they found exactly what they were looking for, a grow-in-water toy. This was going to be perfect. The principle is a simple one. You take what seems to be a tiny little figure, throw some water on it and the toy manufacturer guarantees it’ll grow to enormous proportions. Of course they do, they want you to buy it! The toys were a hit with kids, but the toy that iguanamouth found was a little different as not only would this toy grow, but a little baby was going to hatch from the egg it was contained inside. You never really go into a Goodwill store expecting to find something you’d love, but that doesn’t mean you won’t find a total surprise that you just have to buy. After sifting through the shelves and rails for a while, iguanamouth found the perfect purchase and the grow-in-water toy had to be bought, but there was just one catch. The toy was past its expiration date, though surely it’s just a toy so that wouldn’t matter much, right? 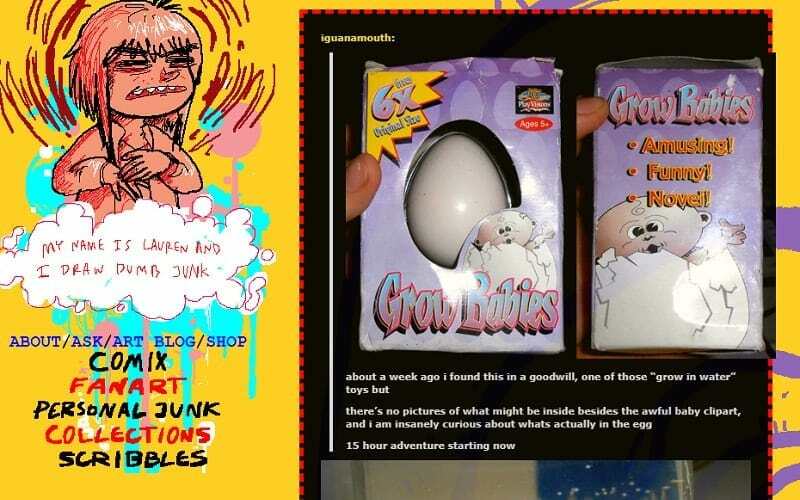 We’re pretty sure the toys that we played with when we were children didn’t have expiration dates, so it’s a little worrying to know igauanamouth’s toy had one. With their intrigue levels at an all-time high, iguanamouth couldn’t wait to get home and give this toy a try. Would it simply not work after going past the expiration date, or would something wild and crazy happen to the toy as soon as a drop of water hit it? There was only one way to find out for sure. 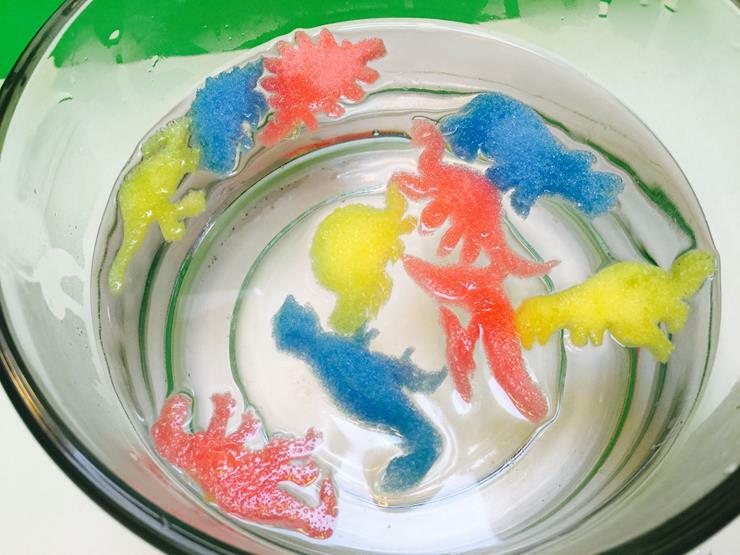 The grow-in-water toy is one that was a huge craze not so long ago. There was pretty much nothing off limits when it came to them, so you could expect to find all kinds of expanding things. Stuff like vampires, dinosaurs, people, cars; you name it, the expanding toy market probably made it. For decades these toys have been made, and the reason most kids love them is that they do grow right in front of their very eyes. After contemplating for a few minutes, iguanamouth decided they needed to get home and try this toy out. Their childhood flashed before their eyes once more, and the expectation levels grew for what was going to hatch out of this egg. Would the baby inside look like the one on the box? Worried that nothing might happen, iguanamouth crossed their fingers in the hope that something would grow despite the expiration date having long passed. The purchase was made, iguanamouth had happily exchanged their money for the expandable toy, and now all that was left was a trip home. 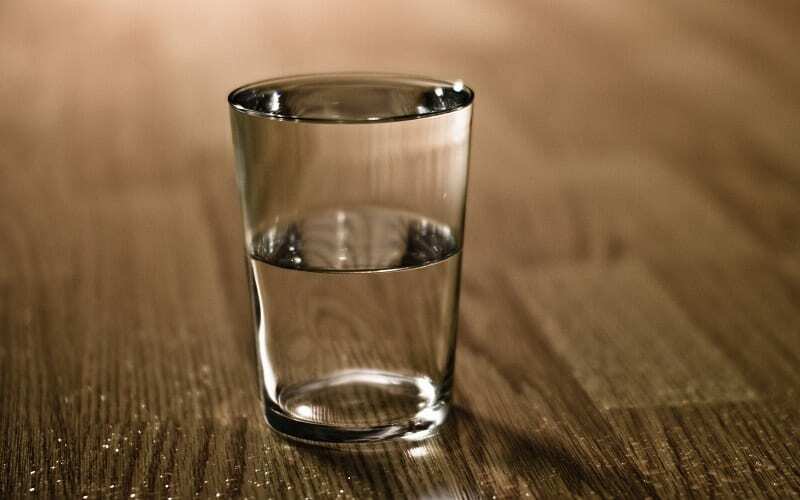 After getting home, iguanamouth dropped their new purchase into a glass of water, and all they could do was wait to see what, if any, results they would get. The toys work because they are made from absorbent polymers which absorb more liquid than they seemingly should, expanding them in size. The toys often warn that it might take a few days for the water to expand them to a larger size, so iguanamouth knew that the waiting game would have to be played. Amazingly, after just nine hours there were signs that something was happening inside iguanamouth’s glass. This was an exciting development, and it seems as though if anything, being past the expiration date just accelerated the effect the water had on the expandable toy. Iguanamouth found that progress had slowed down following the initial excitement, so they were just waiting around for something to happen. It was during this period that iguanamouth decided they would document their experience. After several posts to their Tumblr account, other users became interested in the story, and they too wanted to know what the outcome of the toy’s fate would be. Speculation mounted, but no one predicted what would happen to the toy next. After pretty much a full 24 hours, iguanamouth couldn’t help but notice something didn’t look quite right inside their glass. 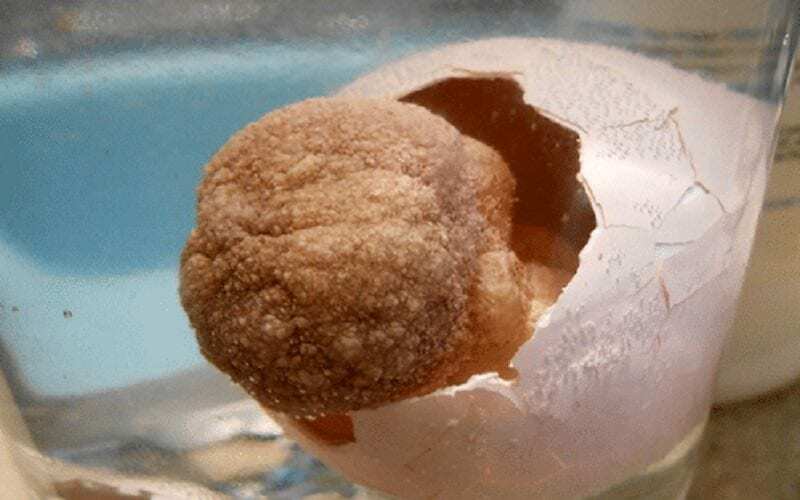 The egg had cracked and whatever was hiding inside had forced its way out, but as soon as iguanamouth looked at what was coming out, they regretted everything. 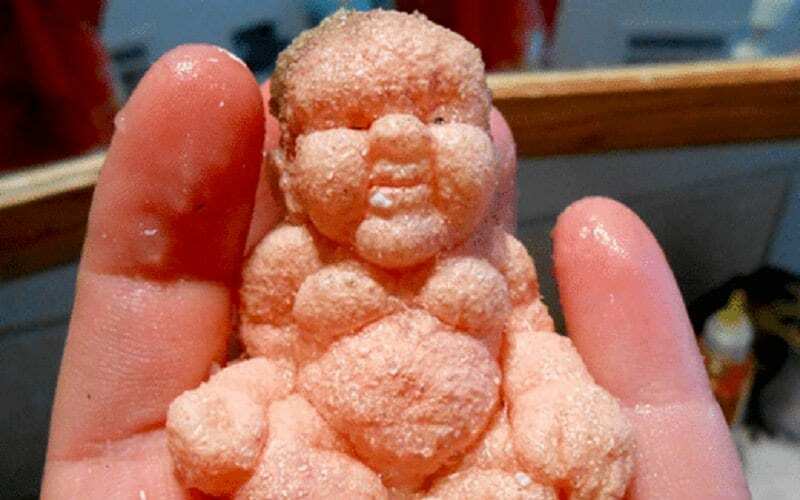 This was supposed to look like a baby, but it looked like a monstrosity, and if it wasn’t chilling in water it might have been best to set it on fire immediately. Time to brave touching this thing and get it out of the glass of water. 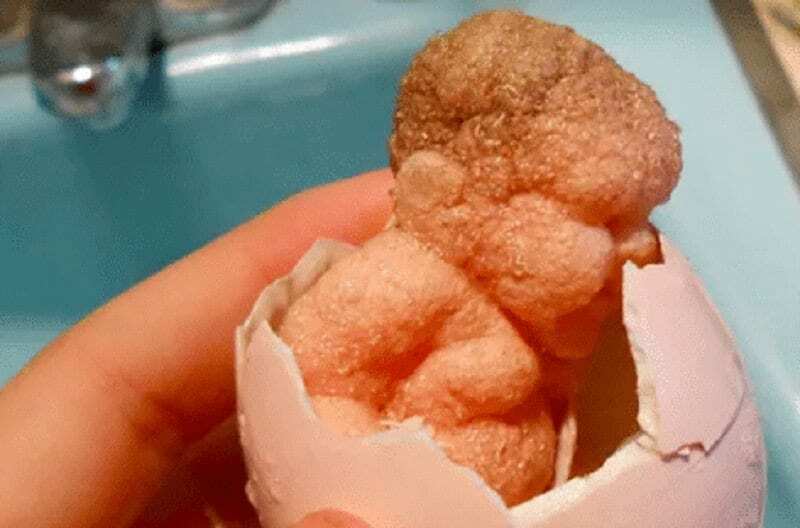 Iguanamouth peeled away the rest of the egg shell until they were just left with the less than cute looking baby they were expecting. 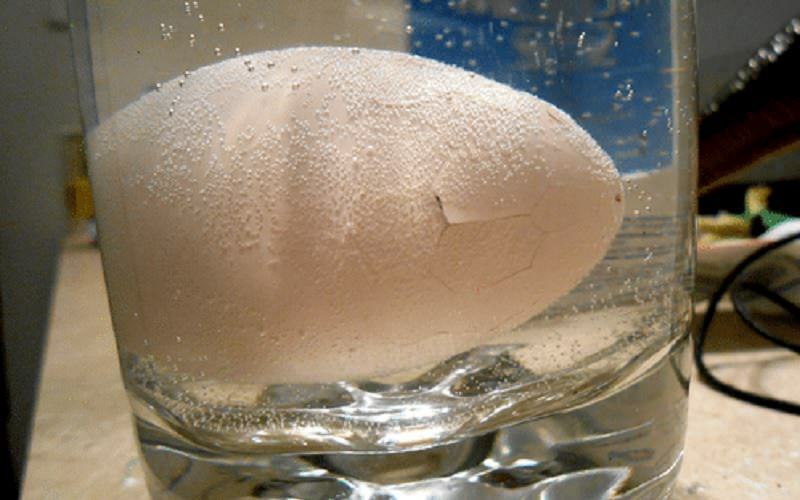 The more the eggshell came away from the baby, the more it revealed of the hideous little figure inside. It seems as though there really was an expiration date for a reason on the toy and putting it in water after that didn’t have a good effect on the toy. There were a bunch of Tumblr users eagerly awaiting the results of the toy’s time in the water, so iguanamouth began posting some shots of the monstrosity. 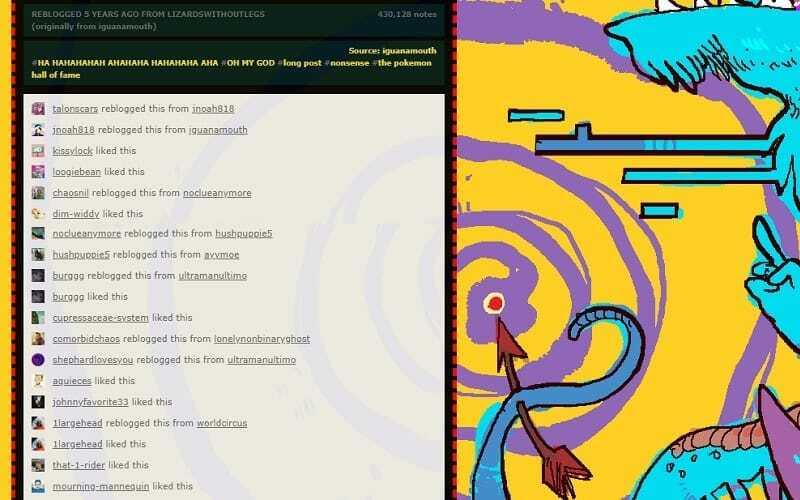 After sharing the outcome, many of iguanamouth’s fellow Tumblr users were just as shocked and some even said they felt sorry for iguanamouth for bringing this thing to life. Although many thought it was scary, there were other users who could see the funny side of this experiment gone wrong. There was a lot of interest in this grow-in-water toy. Many Tumblr users were intrigued as they too probably grew up playing with these toys and wanted a hit of nostalgia for themselves. 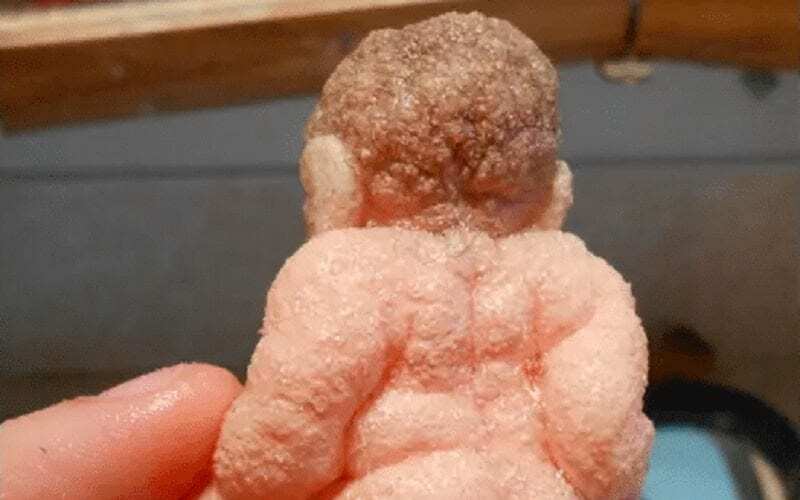 One user compared the bobbly baby to Buddha, while others found comparisons to other public figures. People were fascinated, and the post has been reblogged several times. The original post by iguanamouth has over 400,000 notes after a load of people liked and reblogged it. For anyone that has ever had one of these expandable toys, they might have predicted such an outcome as iguanamouth’s. 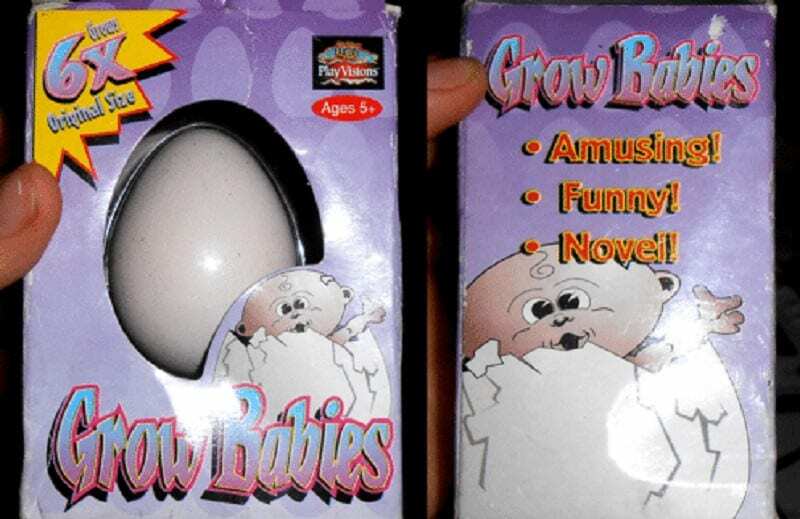 The toys were pretty notorious for not expanding like the packaging claimed they would, and they would either be super underwhelming, or they would grow in strange and often terrifying ways. 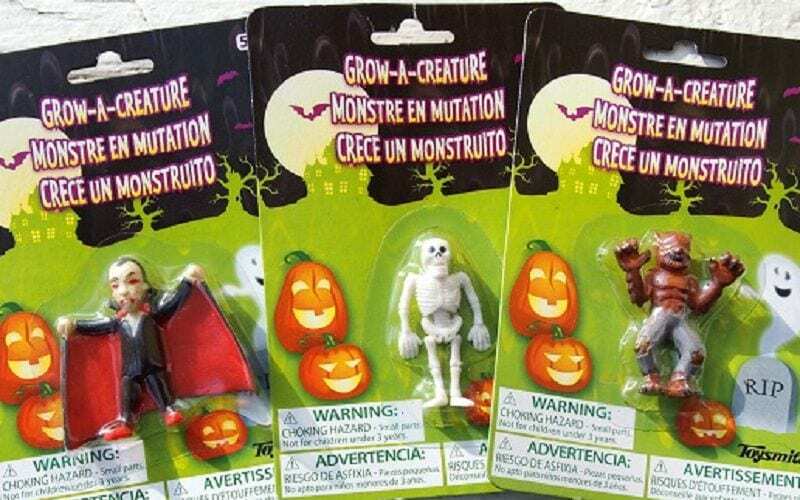 Regardless of expiration date, these toys have a history of going wrong, but they are not the only toys in history to miss the mark on their original product design. Some toys are meant to be cute, but when they find their way onto the toy store shelves they just look a bit scary. 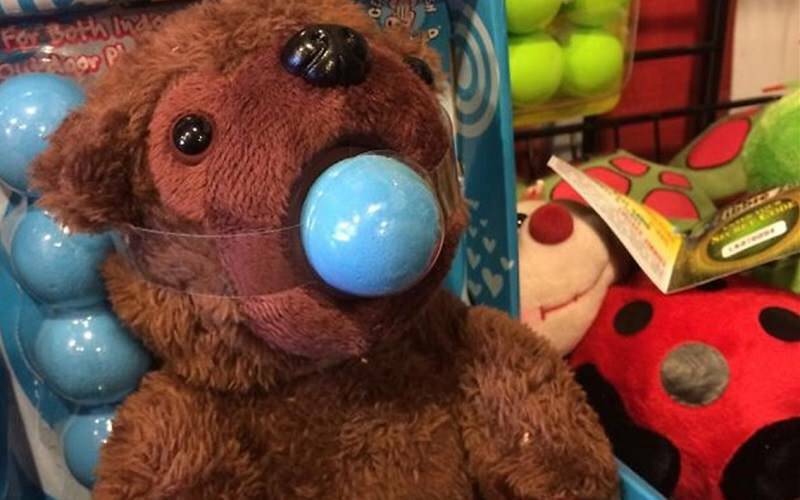 Take this bear, it is meant to spit balls from its mouth at others, but it kind of looks like it belongs in a dungeon in restraints. It doesn’t really seem all that appropriate for a child’s toy and even though the children might not realize why, the adults buying the bear most likely would. 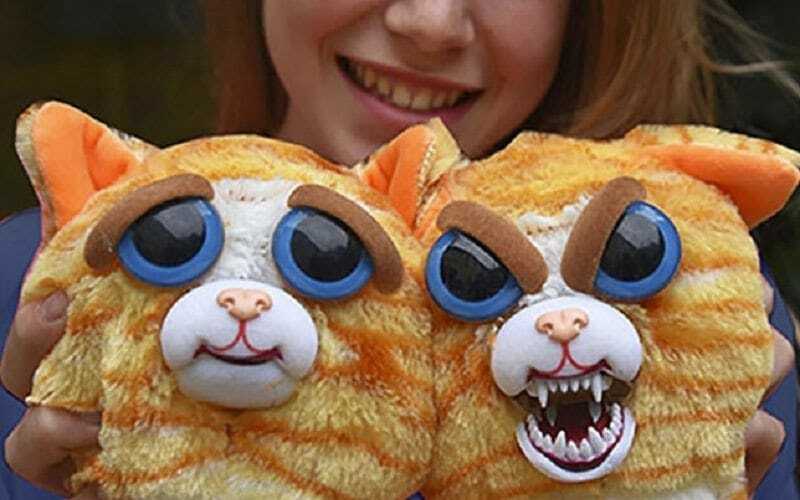 These toys are meant to be a bit of fun for children, but just one squeeze turns this cute looking stuffed toy into one that belongs in our nightmares. 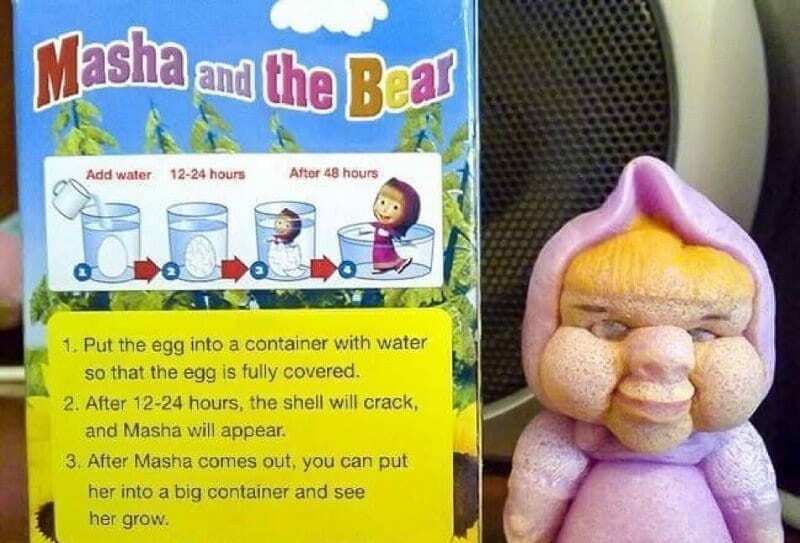 The designers wanted the toy to reflect the idea that kids can go from cute to crazy in a split second, but the scary version of the toy proved too frightening for many children. 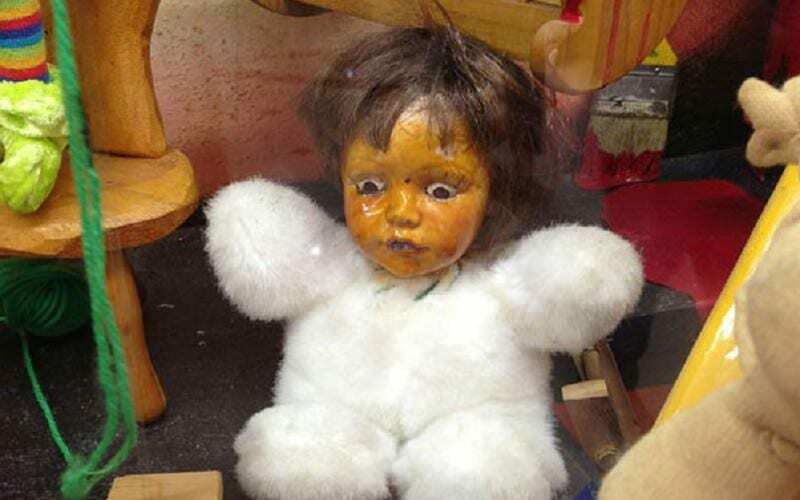 One child in particular was so scared of this toy that their reaction went viral. Normally toys are given to children on their birthday, or at Christmas, or maybe if their grandparents are visiting. This toy looks as though the only time it’s appropriate to hand it out is at Halloween, and only then if you want to terrify a child into needing counseling. The cuddly part of this toy is fine, but the sunburnt doll’s face on top of the body does not work well at all. It’s something that truly deserves to have its own horror movie franchise made about it. Is this how horses work? 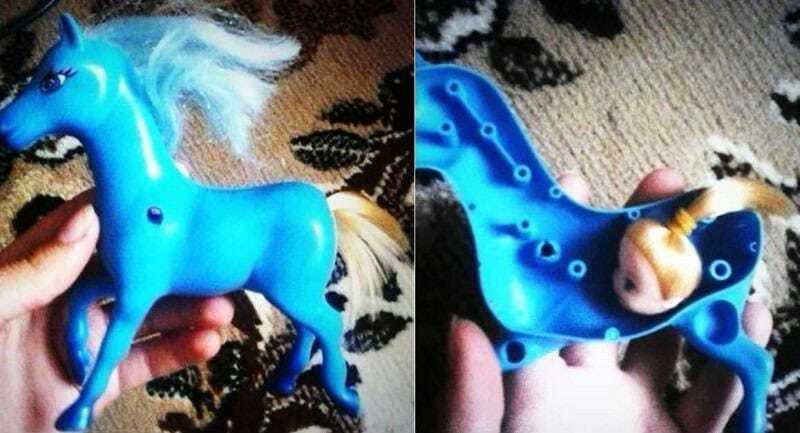 So that’s how they get the My Little Pony toys to have such beautiful tails, they cut the heads off other toys and stuff them inside the ponies. Hopefully this isn’t how the anatomy of a real horse looks, otherwise we think we might like horses much less all of a sudden. It’s a pretty clever way to give these ponies their tails, but if you have a manufacturing plant for the toys, why not just design a tail that doesn’t require decapitating helpless dolls? No one really could have predicted this toy was going to turn out so grotesque, even if it had passed the expiration date. It was originally going to develop into a cute little baby but these grow-in-water toys are often hit or miss, and this was a big miss! 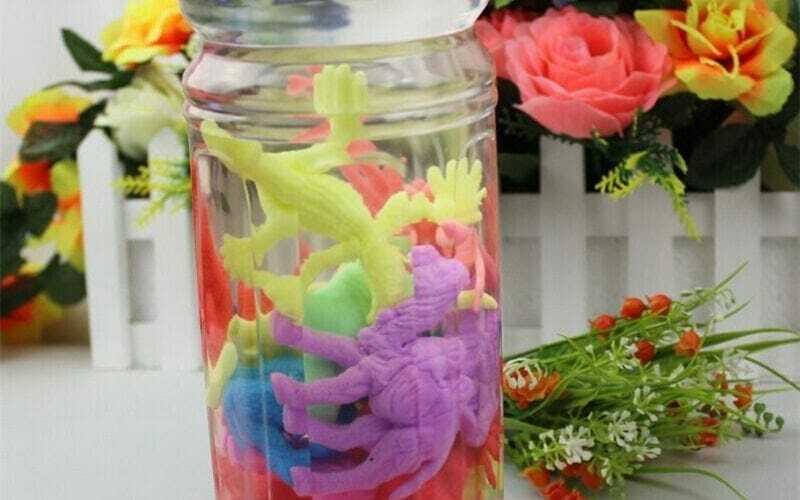 After the purchase, at least iguanamouth found that there were many like-minded people out there as equally curious to see how the expandable toy bought from Goodwill would turn out. Maybe it’ll make iguanamouth think twice about future old toy purchases though!